Studies conducted by the CDC have shown that almost half of all American adults suffer from some form of periodontal disease, a serious oral health condition that can eventually cause tooth loss, system-wide inflammation, and severe infections. Fortunately, all forms of periodontal disease are treatable, and early stages of the chronic oral condition are completely reversible. When plaque and tartar are allowed to accumulate on the teeth, they harbor bacteria that produce acid as they grow and multiply. Over time, this acid can erode dental enamel, creating pitting and cavities that harbor more food residue and bacteria. Bacteria that builds near the gum line can also trigger an inflammatory response that makes the gums red, swollen, and prone to bleeding. The inflammatory response that occurs during periodontal disease is a lot like the way your body responds when you get a splinter in your finger or toe. Since the splinter is a foreign object, your finger or toe will turn red, swell, and could even become infected unless the splinter is removed. Eventually, the gums start to pull away from the teeth, creating gingival pockets. By the time advanced periodontal disease sets in, the bacteria have started to attack the alveolar bone and the periodontal ligament, which are the structures that support the teeth and keep them in place. The purpose of scaling and root planing is to remove the deep accumulations that have formed between the teeth and gum tissue, allowing the area to heal. When the foreign material is cleaned out and the pockets are sanitized, the gums can reattach to the teeth and create strong sockets once again. Scaling and root planing begins with numbing the area with a local anesthetic. After the area is numb, the doctor will use special instruments to gently scrape away plaque and tartar deposits. Next, the surfaces of the teeth are smoothed, cleaned, and repaired as needed. The procedure can be completed in a single appointment, although most patients require several scaling and root planing sessions to treat each quadrant of the mouth. Because these deposits can hold bacteria, removing them instantly improves the health of your gum tissues. After the procedure is over and the anesthetic wears off, your gum tissue may feel a little sore and tender. However, since scaling and root planing is incredibly effective at stopping the progression of gum disease, your gums should start feeling strong, secure, and healthy within a few days of the procedure. Although it is a rare occurrence, scaling and root planing can introduce bacteria into the bloodstream. For this reason, it is vitally important to be upfront and honest with Dr. Newman and the rest of the staff regarding your existing medical conditions and health history. If you are on medications that could affect your immune system or you are living with a longterm illness, please mention it before your procedure. If you or someone that you love is suffering from ongoing periodontal disease, make an appointment today. 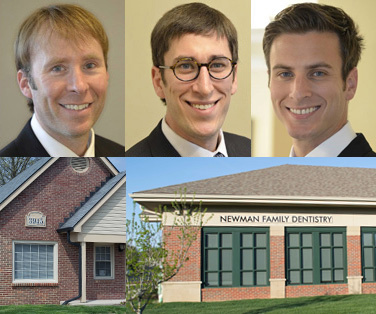 When you come in for a consultation, Dr. Newman can measure your periodontal pockets, give you an idea of how serious your condition is, and talk with you about the right procedure to curb gum disease progression. Our office is currently accepting new patients, and we would love to get to know you and your family. Contact us today!